The growth of sustainable products’ market is being hampered by greenwashing declarations and a series of inaccurate, unclear, incomparable, unproven, unreliable and unrelated information is surrounding consumers when they need to make sustainable consumption choices. The United Nations Environment Program (UNEP) and the International Trade Center (ITC) are seeking global consultation on Guidelines for providing product sustainability information to solve the causes of all mentioned situations. 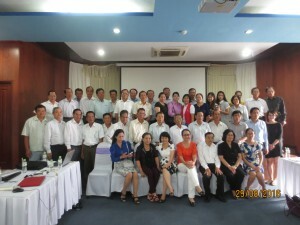 In order to collect comments from organizations and individuals on this Draft of Guidelines, synthesize and transfer to UNEP and ITC, CUTS Hanoi Resource Center, in collaboration with Vietnam Standards and Consumers Association (VINASTAS), organized a workshop on “Guidelines of UNEP: Providing product sustainability information for Consumers” in Hanoi on October 7th, 2016. 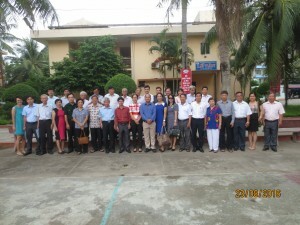 The workshop was held successfully with the numerous participations of representatives of consumer associations in Vietnam. Food safety is becoming a global issue and one of the top concerns in Vietnam. Food-borne diseases are increasing and will continue to increase in both developed and developing countries. With a view to seeking ways and measures to enhance the role of consumers and the use of standards in ensuring food safety and promoting food businesses, CUTS Hanoi Resource Center, in collaboration with the Vietnam Standards and Consumers Association (VINASTAS), within the framework of the SESA programme “Trade promotion through standardization in the South and Southeast Asia regions”, organized two training workshops entitled “Consumers, Standards and Food Safety in Vietnam” in Thanh Hoa during 22nd – 23rd August, 2016, and Kien Giang during 29th – 30th August, 2016. 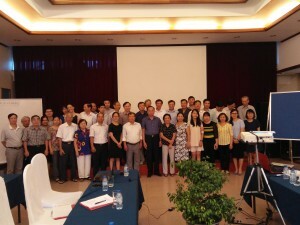 The training workshops were held successfully with the participation of representatives of several food-processing enterprises, food producers and consumer associations in Vietnam.